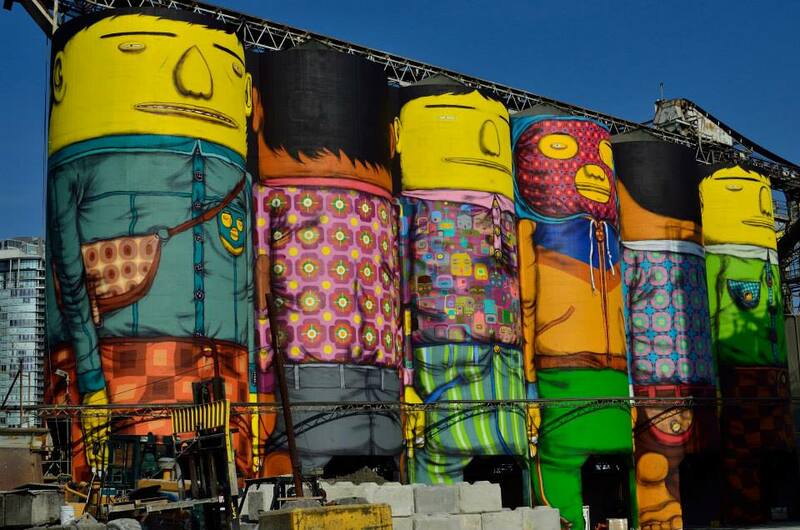 First a Boeing 747, and now an industrial complex on a Vancover island; it seems no canvas is too large for Brazilian graffiti artists Os Gemeos who were invited to the Vancouver Biennale to turn six multi-story silos on Granville Island into their trademark ‘Giants.’ The murals on the 70-foot towers are now the largest paintings ever attempted by the pair, an astounding feat considering Os Gemeos completely donated a month of their time to create the non-profit art project. An Indiegogo fundraising campaign to recoup costs associated with painting the silos has been extremely successful. You can see more over on Arrested Motion.